Can you please Sticky this thread, and un-sticky "DMD now working for cab" as it is the old version and not needed anymore with new cab support. - Adjust the position and size values, so that this separate window fits your designated screen. The game tries to automatically load a separate image for each table. These images are not included in the game. The backglass window displays the file path if the image is missing. The folder is the game's data folder, by default it is "c:\Program Files (x86)\Steam\steamapps\common\Pinball FX2\data_steam". There are table files with the "pxp" extension in this folder. An image's filename must be the same as the table's on which the image is supposed to appear for, but with a different extension (supported extensions : .bmp, .gif, .png, .jpg, ..jpeg). Common tips, make the images larger to help see and move, then work on getting the correct size. Some people in windows have the second monitor set to drag to the left and not the right, you will need negative numbers for the left, or positive for the right. Have to look up each table, but they have a good set in the right format. "if we get mp4 support for motion/vid backglass below is a good link for those"
4.) Run each table via command line. 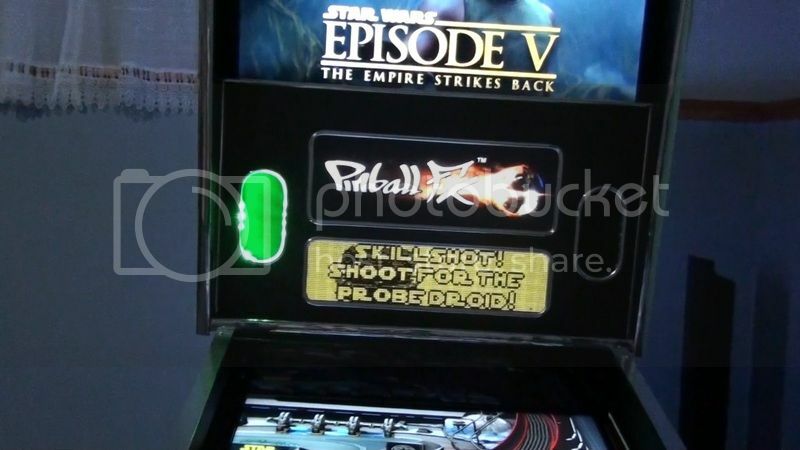 the below link is for PinballX frontend, but will show you what you need to use it for HyperPin as well. In the above 2 front end links, are several posts on builds, equipment, setup etc. I am not going to post or link anything you can find in those forums due to there is not one perfect post or build with everything you will want or need for a build, so take the time and read a few to figure out what you want. I will post 1-2 links that are less common to find in those forums that i found to have good items for a build. http://shop.zebsboards.com/index.php?route=common/home = good place for main boards, plunger ect. http://www.pinballlife.com/index.php...Beverage+Caddy = good place for cup holders legs. http://groovygamegear.com/webstore/ = good place for assortment of buttons/switch's ect. 8.) Cab starting out guide. Again i don't say one build is better or worse than another, the below guide is a decent start if you have no idea about a CAB build and want a decent look into start from scratch guide as an idea of what it takes. I always suggest looking in each forum and look at several builds to get a good idea of what you want. There are several build guides in each forum and You tube ect. 9.) Micro delay in FX2 games. You can do a google search and see there are a few complaints about a micro delay in the button push and paddle flip. This is in Steam and some console paddle users. There are several ideas as to why, alot have to do with V-sync settings, and TV refresh rate, graphics card pre-rendering. I myself was able to turn my TV to GAME mode and made 99% of my delay disappear. Here is an artical on it, again there are several just google and read a few if you have this issue. http://steamcommunity.com/app/226980...7252/?l=french on page 2 in a link to another forum topic about it. If the GAME mode is not a quick fix for you and you try a V-Sync option, and you cant find that setting in your graphics card settings, (mine did not have it.) you can go to this page and install an add-on that allows more settings for you card. http://www.radeonpro.info/download/ again dont do this on my suggestion, do it only after you read and plan to try it on your own decision. This is not an end all post, just a quick link guide for some people who are having problems finding info. I did not want to spend hours making this post so i know i missed items. There are tons of links/posts out there do your own research, this is just to try to help you not decide for you. Feel free to post with anything important that i missed, just try to keep this Sticky clean, no need to clutter it with tons of posts or links unless it is something that is needed. This will be the best $100 you will ever spend, then before you make any major changes, or get something setup and it is working correct, make a copy of the main drive. This will ensure you that you never make a change you regret. wanted to add two more items. 1.) Good site that has several options for parts, and CAB kits, for those who want to build, but would like a good starter kit. I myself can say that they have a nice starter kit for the $, so unless you have a CNC machine and like doing it, well worth it. 2.) Quick link for people looking for DMD support, CAB artwork, good post on Wiring your CAB ect. Barbie pat yourself and the staff on the back for us. Again thanks for always trying to improve and work on new tables and support for us. Just wanted to try to do my small part to help with this. I like how you improve PFX2 for all the Cab users out there... It tell's me that you care about your customers! 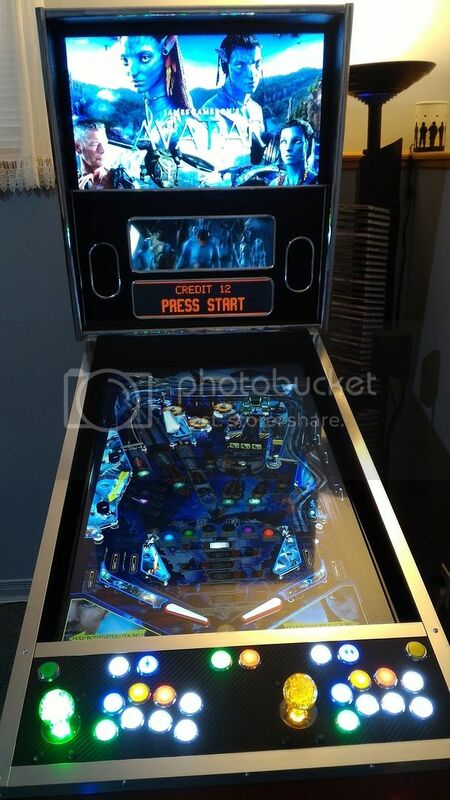 A pic of it running Pinball FX2 with video backglass, DMD and "marquee" through Pinball X.
would be interested in this also very much! The aspect ratio would already help a lot! What does the link in item 1 do for me? Does this give me some cabinet support that I don't already have in the latest version? 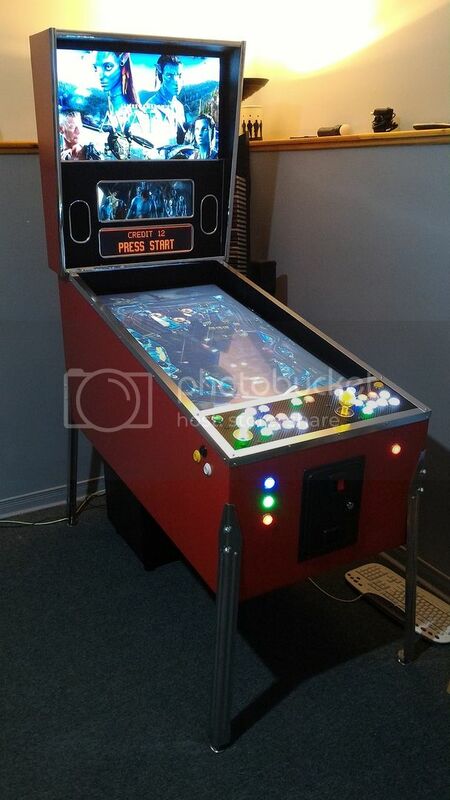 As a cabinet builder and owner, this thread was most helpful as I added Pinball FX2 to my cabinet - thank you. Once I had it all up and running with three screens, menu, etc, I thought what about my flipper solenoids. Well I went ahead and wrote some code to make my DOF flipper solenoids (and lighting, plus some other stuff) work with Pinball FX2. Details are over here. Hopefully some others get some enjoyment out of this too. Hopefully I can find out how to get feedback for jets, slingshots and targets in some way next. Didn't notice your reply here DDH69 before posting a new thread about your amazing program. Here are two videos that show what DDH69 has created being used in my cabinet. Here I bring a backglass 1600x1200 (4/3) with speaker panel I made for PinballX when he was two monitors, I keep updating with new tables but no longer use them because now I have three monitors. This is my PinMameCab with PinballX running PinballFX2, Visual, Future, TPA, Pro-Pinball and MAME. To download updates with medias for new tables out and other extras like Wheels, Table videos, Table Audio, etc, you can visit my blog, where I offer support in Spanish. Last edited by PinballVirtual-Victor; 08-23-2016 at 10:05 PM. With backglass published by Hyperspin and others I had more of a Speaker Panel I saw and liked (I think the web of PinballX), have done a complete set. wow, this is such good stuff! I used (so far) one of these to make one of my animated backglass videos for PBFX2 (see this thread (page 2, Dr. Strange). I will definitely use more of your work! Great stuff, again. Last edited by vogliadicane; 08-29-2016 at 08:34 PM. Ive got an error when downloading "Ensure that "Back glass repositioning" is turned on. (https:\\download.zenstudios.com\_Il_d65_PFX2_Back glass_HowTo_lKD8dH\PFX2_Cabinet_Settings.png)"
Has anyone tested or used gif files for the backglass image? I made one as a test and it displays but with no animation. Am I missing something? The original post states that it's supported. I Test animated .PNG and work fine. how can i disable ? my config is full screen with 270 flip . You have to keep in mind that you can rotate the screen from the operating system or from the game. I think what happens is that you're turning the screen twice. See changing in the game options until the put as you need. For example I have the operating system and turned to Vertical (90) so the game I have NO Rotation. If I had the operating system Horizontal (0), the game would have to put Rotation 90. You know, we all want DOF, which means a great haptic feedback for our cabs. But: I know, this is A LOT of work for you to implement. most of us have the mech sounds (plunger, bumbers, ball rolling sounds, slingshots and what not) rooted to the speakers within our cabs. And that's cool! Because it comes from where it seems to happen. So, what about giving us the option to root those sounds to the apropriate device, which is in most cases an HDMI sound device? With some volume control! C'mon, that must be a breeze for your coders, so why not? And always keep in mind: VR is ok and might be the next big thing in the pinball buisuness, but real cabs is what people really kicks! And the demand is growing. +1 for that particular feature. Vogliadicane is right, having mechanical sound on an different sound device is awesome. I really wanted to do this as I saw it on my buddy's pinball cabinet. Purchased all of the tables (thanks Autumn Sale) and right now I have time to set all this up but no email back yet on the code I need to enable cabinet support. Is there an ETA on this? Is it not automated? Are there issues with the system right now? Just asking to get a real life estimation of how long before I can actually get PinballX and everything going with this. Tonight is when I had time ---- so I'm really just asking that you put a time estimation on this form ... something to tell people no matter when they purchase it there will be a delay in the code getting to them. I really do appreciate the work you guys have done by adding cabinet support and I have seen it be amazing. I am just playing the part of an annoying customer because I was not aware there would be a code nor that it would take more than an hour to get it. After downloading 6Gb of data it is quite disconcerting to have to wait further. We were closed for the holiday but I will be responding to these today, so keep an eye out a bit later on. You can not archive more files due to forum restrictions. I have made the MegaDocklets and CustomWheels. Last edited by PinballVirtual-Victor; 11-28-2016 at 06:31 PM. I Can´t upload any image. Does it give you an error message? It might be easier to upload them elsewhere and just link them here, but let me know. I get error uploading the files. At the moment I only have backglass, Megadocklets, Wheels and CustomWheels. When I have the videos of the tables, audio, launch audio, finally, when it is complete I will put an external download link of the file that uploads to my blog, if it seems correct. I already have an initial media pack ready for Bethesda Pinball. Probably later I will add the videos of the DMD, change the audio table or correct any errors that may appear, but for now with these stockings you can already configure it in PinballX. The pack includes backglass for three monitors (full screen) and two monitors (with speaker panel and dmd hole), there is also the video table and audio of the three tables, and three types of wheel (Nuke, Custom and Megadocklet) Of the megadocklets there are three or four per table for you to choose the ones you like most. I have also included the updated database. There are table files with the "pxp" extension in this folder. An image's filename must be the same as the table's on which the image is supposed to appear for, but with a different extension (supported extensions : .bmp, .gif, .png, .jpg, .jpeg). ... no video file formats are supported, so does animated .PNG backglass actually work with FX2 out of the box? A .png can be static or animated, solid or transparent. I put an animated .png of Amarican Dad to test and it worked perfectly. You are awesome, Victor. Thank you! Thanks, but those don't seem to be perfect integer multiples either Some DMD dots will be cut and some others will be stretched. Last edited by Psy-Q; 12-27-2016 at 10:51 AM. If you use a 4: 3 15 "monitor, you normally have a 1024x768 resolution, and the dmd would be given 1024x256 and use that part of the monitor as DMD, and the rest will be covered. For a 4: 3 monitor 17 "can have a resolution of 1280x1024 and the DMD would be given 1280X320, using that part and hiding the rest. I have been slowly working away at my own cabinet and have a dedicated monitor for the backglass. Since I could not find many images for the new Bethesda pack that are for dedicated monitors, I made some of my own! There are two for each game, and each are set to 1920x1080. If you guys like them I am happy to share more! also going to experiment with converting some of the video backglass files out there to PNG's. Adding a few more. Two each for the Aliens tables. Have not seen any recent posts on a list of most wanted internal support for cab users. 2.) option to control add music? 3.) 1 camera view that is better for cab view. Most cabs will have a 30"-47" led tv laying fairly flat. 4.) more internal options to map bumper, lights etc. Like to take a moment to say thanks for all the cab support they have already done, such a good quality product and support for such a small staff. While you are being answered from ZEN I can give you my personal opinion as a PinCab user. 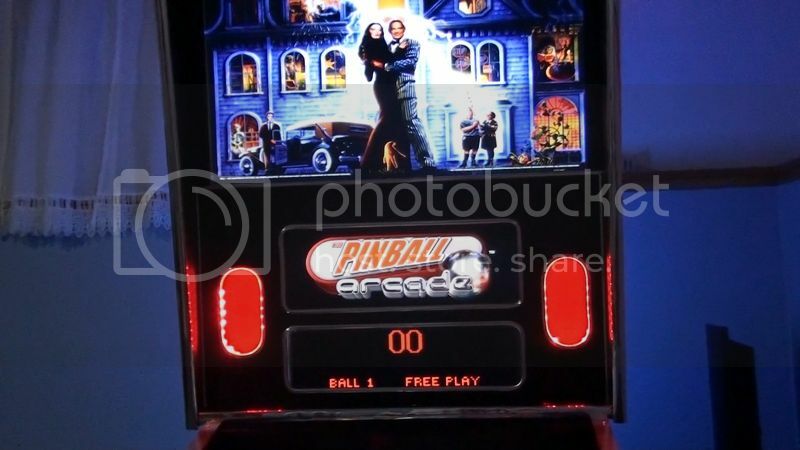 1) You can play backglass videos from the PinballX frontend. On some tables it will work properly, but in others it will cause the table to malfunction. I guess that's why it has not been done in the game. 2) In PinballX you also choose the music you want during the selection of tables. 3) The view is perfect, plus you have 6, 7 or 8 views per table. 4) More options ?, if you modify any setting from the operator's menu, your achievements or scores will no longer be valid. I have also proposed to ZEN that they acquire licenses of real machines, it would be great to play the Addams, LOTR, TOTAN, Monster Bash, etc. in a game developed by ZEN whether integrated into Pinball FX2 or a new platform. Visual Pinball is not worth to compete since the user can modify any aspect of the table and Pinball Arcade leaves much to be desired. If ZEN made a game with real tables would be a real success despite having a competitor on Steam and another free, I would at least buy all the tables and sure many people would too. Mientras te contestan desde ZEN te puedo dar mi opinión personal como usuario de PinCab. 1) Puedes reproducir vídeos de backglass desde el frontend PinballX. En algunas mesas funcionará correctamente, pero en otras provocará que la mesa funcione mal. Supongo que por eso no se ha hecho en el juego. 2) En PinballX también escoges tu la música que quieras durante la selección de tablas. 3) La vista es perfecta, además tienes 6, 7 u 8 vistas por mesa. 4) ¿Más opciones?, si modificas cualquier ajuste desde el menú del operador ya no tendrán validez tus logros ni puntuaciones. Yo también les he propuesto a ZEN que adquieran licencias de máquinas reales, seríua genial jugar a la Addams, LOTR, TOTAN, Monster Bash, etc, en un juego desarrollado por ZEN ya sea integrado en Pinball FX2 o en una nueva plataforma. Visual Pinball no vale para competir ya que el usuario puede modificar cualquier aspecto de la mesa y Pinball Arcade deja mucho que desear. SI ZEN hiciera un juego con mesas reales sería un auténtico éxito pese a tener ya un competidor en Steam y otro gratuito, yo por lo menos compraría todas las mesas y seguro que mucha gente también lo haría. Before video support for backglass I would like to get some source images or media packs for the Zen IP tables. While it is easy to find material for other licences, it is very hard to find images to use for stuff like V12, Shaman, Bio Lab, etc. Is this floating around anywhere? If so, I am happy to make some more backglass images. New backglass images for Marvels Women of Power, Star Wars, and some of the core pack ones. If anyone has better source images for the core pack stuff please let me know! El de V12 lo tuve que hacer así porque no encontré las letras originales del juego. Thanks! What kind of music controls are you wanting to see? It would be great if that site had a lot more content. For Zen, making these files available to users is very easy. I however, have to invest several hours in capturing the videos and preparing the backglass and wheels. In some cases I even had to clean the bottom of a .jpg image to extract the logo in .png and be able to use it in Megadocklets and backglass because there was no transparent logo. I think with a seperate volume (very loud ), this would make a big improvement for the overall impression. I've passed this along, thanks. I have finished off the available tables, the program does a good job scaling them down from 1920x1080 if you have a monitor with lower resolution. I look though all of the promotion material that was listed but found it lacking in any graphics that could be used to make better back glasses. The video for the Mars table has a higher quality logo than the other ones I have found so I will work on getting a good screen grab of that and modifying it to look better. aren't most of these the ones hyperpin had posted in this thread? Most are from the common ones floating around that I have resized. Some of the Star Wars ones are mine, the SWE7 and MOTFO are mine as well. I did the South Park and Bethesda ones, along with the Marvel WoP and Alien ones too. Very new at this... I have cabinet support unlocked and have backglass and dmd repositioning enabled. I started Doom, then paused and went to cabinet support. No matter what values I change vertical to, nothing appears on my backbox screen. Neither DMD nor backglass. Not really sure what I'm doing wrong. 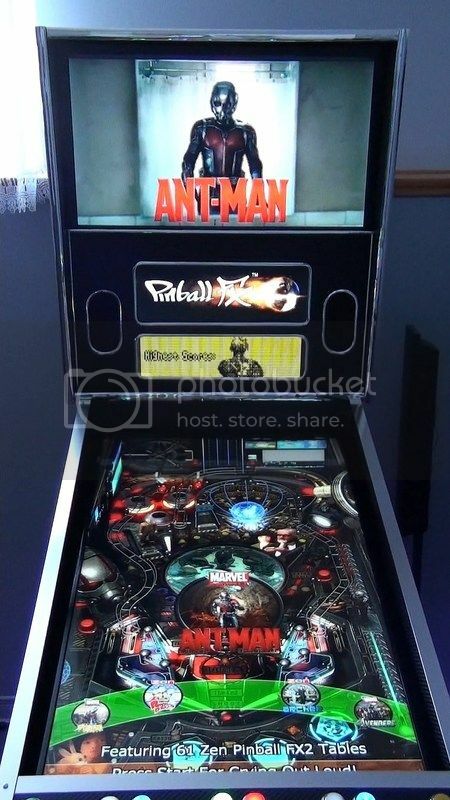 I have the 'top' screen 'above' the right side of my playfield screen (ie. moving the cursor far right causes the cursor to rise from the bottom of the 'top' monitor. This is how Hyperpin is set up for futurepin and visual pinball. Any help would be appreciated. Thanks! Been a while since I messed with setting up my cab...and not sure if things have changed since my video link was posted (above) but I've had similar issues in the past and I found it was a case of playing with the numbers. I increased values to silly amounts like 10000 or 100000 etc, and added minus to the values...and eventually the image appeared...albeit extremely large! Once you find it, it's simple to adjust. But I found making the dmd size massive really helped find it. If it's sized massively and still can't be seen, then that's when I started adding minus etc to values. Hi L33. Mine stopped working in the last day or so, and I also cannot see my backglass. I don't know how I messed it up. Does the position of the multiple monitors under Windows Screen Resolution matter? Mine stopped working in the last day or so, and I also cannot see my backglass. I don't know how I messed it up. Does the position of the multiple monitors under Windows Screen Resolution matter? Until a couple of days ago I had been away from this for several months, and now see what I had gone wrong. I had originally set it up last year with my two monitors oriented one way within Windows Screen Resolution, but had since moved the monitors around within Windows. By putting the monitors back within Windows in the same orientation I had when I set up Cabinet Support, I can now see both the backglass and the DMD on my second monitor. Last edited by Seattlemark; 05-08-2017 at 06:02 PM. I originally wasn't the biggest Zen fan...proffered TPA but I'm swaying towards Zen now as I feel they have made such a good effort with the cab support and whilst there are a few things I don't like, the whole experience just seems better now on the cab compared to others. I agree, L33. I too have also been a user of TPA. (In fact, you and I originally met on The Pinball Arcade Fans forum.) But I now really appreciate Zen for giving us Cabinet support. That is something that the company that makes TPA never gave us. (As you know L33, with TPA a brilliant volunteer member of the Fan Community, NoEX, eventually came up with a "Free Camera Mod" workaround set of software. Fortunately currently NoEx does an update after each new TPA table comes out, but if NoEx ever wants to stop volunteering to support it then that's the end for additional TPA tables that have cabinet support.) So I really admire Zen Studios for what Zen provides built right into the software it provides! Thank you Zen Studios! Last edited by Seattlemark; 05-08-2017 at 05:37 PM. Well, I have the DMD in the right spot, but I can't figure out the Backglass! It doesn't consistently change when I change the values. On two tables, I could see part of the image, but then I mess with the settings to fix the image and it disappears. If I exit out to the menu, then the screen 'saves' the changes. The DMD was kind of the same way, but eventually it started changing 'in real time' and I was able to fix it as you all have described. I'll keep at it! Yesterday, I was also finding that my changes to my Backglass settings were not going into effect real time. I had to exit from the Cabinet screen before my changes took place. Hi L33. What, if anything, did you put into your cabinet for nudging? (Such as simple button switches, or a circuit board with acceleration sensor, or the board from a Microsoft Sidewinder Freestype Pro, etc?) And if you did something, does it give you digital or analog nudging with Zen tables? Same question about TPA tables. Last edited by Seattlemark; 05-26-2017 at 04:46 PM. I can Understand that your concerned that someone else isn't using your games in a commercial product but FOR GOODNESS SAKES..... with as many pinball players are out there that are building MULTIPLE CABS, You are going to DROWN in Requests and show bad customer service because of people waiting for the human factor to create and email a special code, if you aren't already!! Cant you make up an automated system that works like registering for a forum that works in as little as a few seconds? Just create an updated EULA and registration system with a couple of check boxes and take the human out of the picture. But in the meantime.... Can someone PRETTY please email me 2 codes? I have 2 machines I'm Building! please please please??? Could you give us your email either here or send a message to support@zenstudios.com so I can help Desiree find you and tend to your issue? 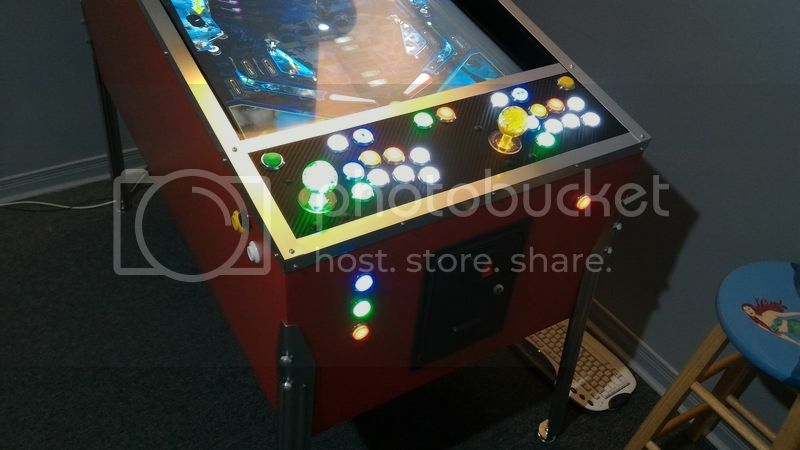 I'm happy with the Pinball FX frontend, after adding cabinet support for a backglass monitor, and a PINDMD v3 full color dot matrix display (have to use DMD extensions). Everything is working great, and I've started adding backglass images. I'm willing to wait for Zen Studios to add support for .mp4 files on backglass, but in the meantime I keep hearing about "animated images" that can be used in place of static image files. To date, I have been unable to locate a singe animated backglass IMAGE file (not a video). Does anybody possibly know the location of any to test? I requested a cab code for both FX2 and FX3 and haven't received a reply. Any idea on how long the response time usually is? Thanks! I'm starting my mini cab build next week and wanted to get a jump on the software side before moving into hardware. I got a response the next day but I had to send a picture of my cabinet setup in order to get the code.